This upcoming Tuesday at 6:30 pm, I hope you can join me at my first Hoboken State of the City taking place at Stevens Institute of Technology (DeBaun Auditorium, 24 5th Street). I look forward to updating residents on our year of progress for Hoboken, and give a preview of our exciting initiatives for this year. All members of the public are invited, and tickets are not needed to attend. In the meantime, I’m pleased to share with you a few of the initiatives we’ve been recently working on before a full 2019 preview at the State of the City. This year, a major priority for my administration is initiating Hoboken’s Vision Zero Plan. It’s clear that more needs to be done to make our streets and sidewalks safer for all residents, including our children and seniors. While Vision Zero initiatives have been introduced in other cities, including New York City, it is my goal to not only have zero pedestrian deaths, but ALSO zero traffic related injuries. In the weeks ahead, we’ll be outlining our next steps, including a task force that will solicit active participation from residents. 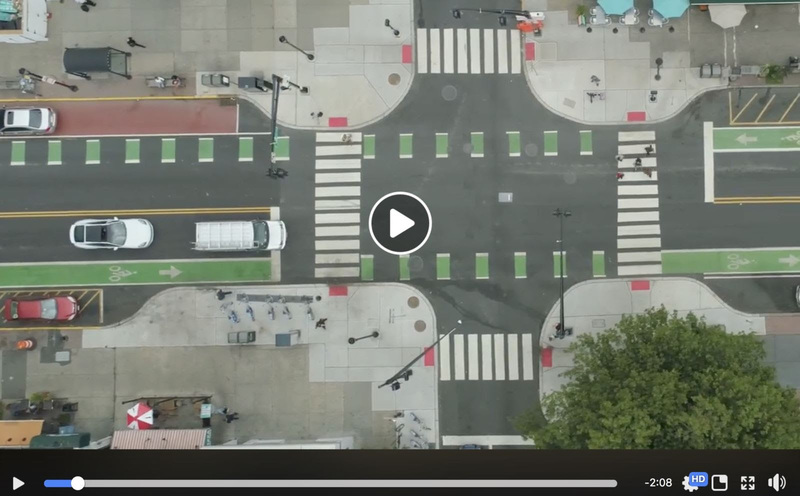 Click below for a video describing of a critical part of our Vision Zero plan, the engineering of safe and accessible streets for all residents. On Tuesday, our plastic bag ban went into effect, making Hoboken the largest municipality in New Jersey and the first in Hudson County to enact this regulation. Plastic bags cause litter on our street, contribute to climate change, and most of all are a detriment to our local environment. Thank you to Councilman Jim Doyle, the Hoboken Green Team, hMag, and activists including students from All Saints for turning this idea into a reality. 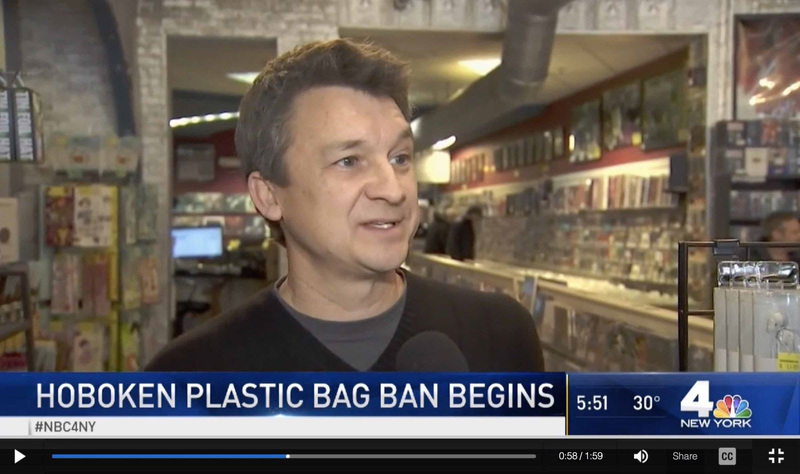 Click below for NBC’s coverage of the first day of our ban. 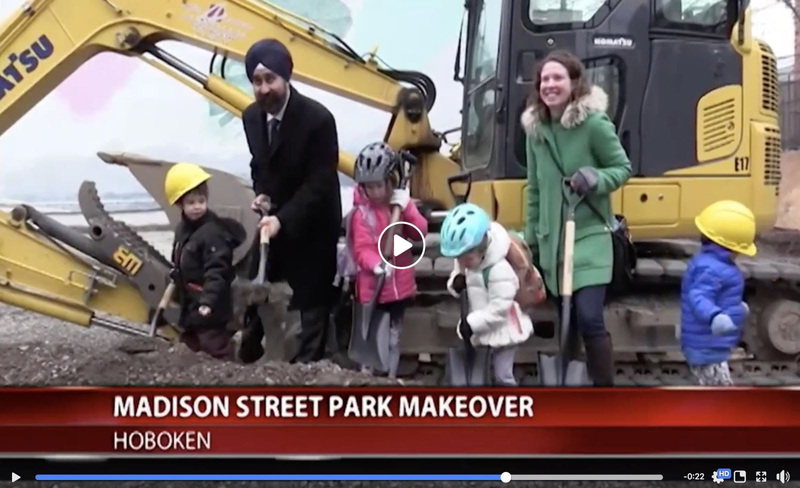 Earlier this month, we broke ground on our Madison Street Park renovation, the first major park project of my administration. After a robust community engagement process, we came up with plans to completely renovate the park to create more playground equipment for children of all ages, more safety features, better utilization of the park space, a new bathroom, additional benches, new spray features, and more. Click below for FiOS’ coverage of our groundbreaking. I hope you can join me for the opening of the park this spring! We continue to make progress on our $230 Million Rebuild by Design project to protect Hoboken from the impact of stronger storms and rising sea levels. 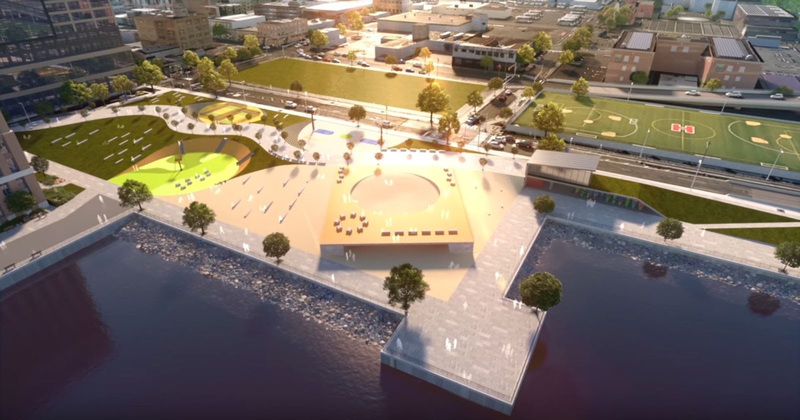 This flood protection will take the form of a new park uptown at Harborside Cove at 15th and Garden – in other words, the flood protection will be included within the park’s design. Like our other park projects, we want to include a comprehensive community process, and we’ll be introducing three new park design concepts at public meetings on February 4 (7:00 pm at Multi-Service Center, 124 Grand Street) and February 7 (7:00 pm at Elysian Charter School, 1460 Garden Street). Recently, I learned of a proposal by Academy Bus, a major property owner in Southwest Hoboken, to make substantial changes to the Southwest Redevelopment Plan including a dramatic increase in building heights and residential density. It is also my understanding that some Councilmembers were involved, or at least consulted in the creation of this proposal. Let me be absolutely clear – I remain fully supportive of the current Southwest Redevelopment plan passed under Mayor Zimmer’s administration that includes limited residential density. The proposal by Academy to increase the amount of residential units to 493 (compared to 192 permitted) is a non-starter for me. On a similar note, I remain committed to expanding the Southwest Park to include the additional acre of land on Block 10, preferably through direct acquisition which we continue to explore. However, if this turns out to be financially infeasible, the only amendment to the Southwest Redevelopment Plan I would consider is one that incorporates the build out of the Southwest Park. Please click here to read my full memo to the City Council on this topic. Thanks, and I hope to see you at the State of the City on Tuesday (we’re handing out free reusable bags)!